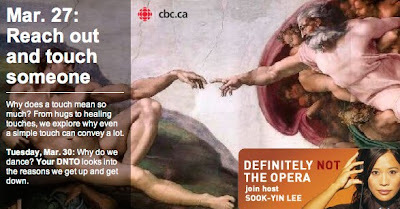 I was interviewed on a Canadian Public Radio show called Definitely Not the Opera last week for a show about Touch. You can listen to the show here or here. My segment starts at 31'48" and is dated March 27.